It’s been a while since I made nut milk. Time has been pitifully short lately, and it usually just makes more sense to purchase some (my current brand of choice is Silk Pure Almond, which I order on Amazon at a very good price—it’s tasty and non-GMO). That said, I really enjoy making homemade nut milk, and I always find that the finished result is creamier and more delicious than anything I can buy. This weekend, I decided to try my hand at Brazil nut milk, which I’ve been curious about for a long time. And it was a total success! Brazil nuts are known for being high in selenium, a trace mineral with powerful antioxidant properties. We don’t need much selenium to ensure adequacy, but it is an essential mineral for health. Eating Brazil nuts is an excellent way to get your selenium in, and while you’re at it, you’ll also be getting thiamin (Vitamin B1, which plays a role in a healthy nervous system), phosphorus, and magnesium. Brazil nuts are also the most radioactive food on the planet, a fact always pointed out to me by my friend Victoria. Their radioactivity comes from small amounts of radium; fear not, though. In moderation, you have nothing to fear from them, and plenty of nutrient richness to gain. Brazil nuts, like macadamias, are very high in fat, so they have a characteristically rich taste and soft texture. I like using them in nut pates and smoothies, but I think that nut milk might be my favorite way yet to enjoy them. Like all nut/seed milks, the process for this one is simple, and the results are delicious. 1. Place all ingredients into a high speed blender and blend them till totally smooth. 2. 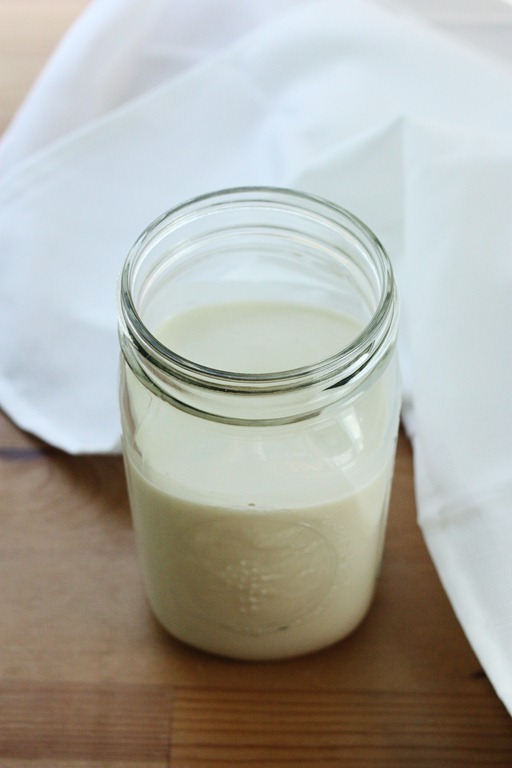 Lay a double layer of cheesecloth or a nut milk bag over the mouth of a large mason jar or another large container into which you can strain the liquid. Hold the cheesecloth or nut milk bag in place with a rubber band by slipping the rubber band over the cloth, and around the mouth of the container. 3. Pour the nut milk through the cheesecloth or nut milk bag, and into the container. You may need to work in batches. Allow it to strain for 1-2 hours. You can compost or save the Brazil nut pulp, or discard it. Transfer the nut milk to an airtight container. It will keep in the fridge for 2-3 days. 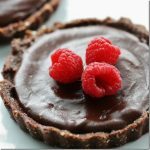 You can use the Brazil nut milk in smoothies, you can eat it with buckwheat cereal or your favorite grawnola, you can drizzle it into a warm bowl of oats, or you can simply enjoy a glass of it on its own—or perhaps with a slice of raw chocolate tartelette? Before I sign off for the night: next week is NEDA (National Eating Disorder Awareness) week. I’ll be participating in some Georgetown campus events, which I’ll tell you more about this week. I’ll also be sharing some ED-themed posts here on the blog, of course. And I’d love to post two or three Green Recovery stories. I’ve got one in the pipeline; I could use one or two more. If you’ve considered submitting to Green Recovery but haven’t gotten around to it yet, this is a really great time of the year to share your story with others. You can email it to me at [email protected]; as always, I’m happy to keep your identity confidential if you like. This looks fabulous! It’s been too long since I’ve made nut milk too, not even sure where my nut milk bag is! But I adore Brazil nuts and this looks great for chia seed pudding. I, too, had the urge to make nut milk this weekend, though I made pistachio milk. I’ve had brazil nut milk in a chai latte (so yummy! ), but I’ve never made my own… I’ll have to give this a try! Mmmm…delicious radium. I was actually thinking about homemade Brazil nut *butter* last night; milk sounds delicious, too. Yes! I do have one and it’s awesome. But I say cheesecloth because not many of my readers have one at home. Maybe a good product to blog about, though. can you reuse the nut milk bag? I have been meaning to ask you (Ashley reminds me) why you don’t use a nut milk bag, since it’s so much more efficient, to say nothing of faster, than the cheesecloth. The pulp is so dry at the end that you don’t really need to dehydrate it before using in recipes (that said, I try to use within a couple of days). Almond milk remains my favorite and go-to milk, but I do try to keep Brazil nuts in the rotation. The cool thing about Brazil nuts – since you don’t have to soak them – is that you can make it a cup at a time. So you don’t need to be drinking it four days in a row. Which I can’t do with any milk but almond. You can put six Brazil nuts in the Vitamix, add 8 oz spring water (or if you’re lucky enough to be in a city with protected water reserves, tap water), and a date, and make a cup of nutmilk to use right away (you don’t really need to strain Brazil nut milk either). My favorite Brazil nut milk recipe is reminiscent of cappuccino (though it’s been decades since I’ve had the real thing, so who knows? ): 1 c. fresh Brazil nut milk (don’t strain), 1/2 frozen banana or a few ice cubes, 1 tsp vanilla, 1 tsp cinnamon, 1/4 to 1/2 tsp maca, 1/4 to 1/2 tsp shilajit. And thanks for the tips on Brazil nuts! You know, this is a very very good point! Thanks for the tip, E — I may write a post to this effect soon with the suggestion. And though I haven’t done much juicing with the Vita, it’s totally something I’ve been meaning to check out in this rushed days. If you ever suggest making green juice in a Vitamix, you’ll get criticism from the strictest of juicers saying things like the toxins get concentrated in the fibers, and the Vitamix breaks them down too much so that they pass through the nutmilk bag, etc. Or because you have to add a bit of water (you don’t need water if you juice the cucumber first and then add your apple and leafy greens, but I’m lazy so I do add a bit of water or herbal tea at the beginning), the juice will get oxidized … . Yeah, this sounds enticing 🙂 I’ll definitely give it a try soon — and write about it when I do! I love the idea of juicing with my Vita! I would be much more apt to juice more if I did that. I love brazil nut milk! Ever since the pasteurization of almonds, I switched to brazil nuts for my “base” nut milk. I love it more than I did almond milk, and so highly nutritious! I do choose to still soak them, however, just for ease of blending and extra insurance all those vitamins + minerals are readily available. I love brazil nuts, but I never know what to do with them besides eating them as a snack. I’m usually deterred from making nut milks because of the soaking time, so this brazil nut milk recipe looks perfect for me. Thanks for sharing! Also, I am thinking about submitting a Green Recovery post; it’s something I’ve been pondering about since the New Year but haven’t had the time or courage to do yet. Please consider sharing, Elisabeth! I’d love to hear your story. This looks great! 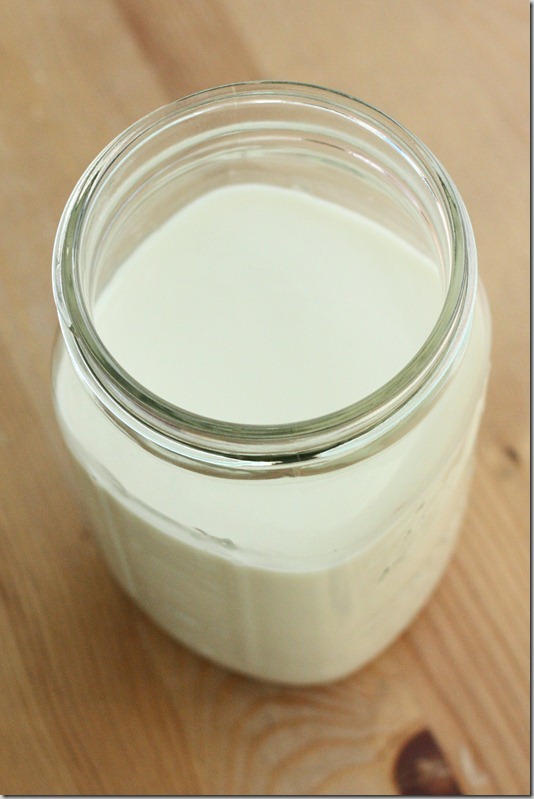 I love hearing about alternative milks, and especially find it fascinating that it can be made at home. Also very interesting about the radioactivity, but good to know it’s not dangerous! I just got myself a nut-milk bag so am excited to get experimenting with different nuts. Brazil nuts aren’t something I regularly eat as is but I could see them being great blended into milk. Just one note-,a little typo- “You can compost or save the Brazil nut milk, or discard it” I think you mean “pulp” not “milk” !! Good catch! I fixed it. Thanks Emma. I, too, am new to Brazil Nut Milk, and forever changed because of it! As quick and easy as cashew milk, but mild and smooth as almond. Holy yum. 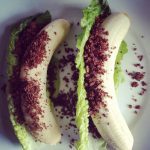 I have been making nutmilks from tigernuts recently, have u tried them? they are like the latest kombucha flavour but in the raw milk world 🙂 and its so good for u, actually better than almond milk! I have never tried to make brazil nuts but I am not sure about the non-soaking part. even cashews I would soak and they are quite soft nuts too!!! Haven’t tried them, but now I’m inspired to check them out! Where do you buy your brazil nuts from? I’ve been buying Now brand at the local HFS but they taste so stale! nuts.com for all things nuts! I like Nuts.com or the bulk bin at Whole Foods or Yes Market in DC! Hey Gena – On this topic, I wanted to share that I just started chopping up a whole vanilla bean (vs. the alcohol based extract and granulated forms I’ve used in the past) and that change made all the difference taking my homemade almond milk from great to spectacular…highly recommended! Oooh! Good to know — and I’ll have to invest soon. I have yet to make a nut milk myself but it sounds like a fulfilling endeavor! I’ve also only recently made it a point to eat Brazil nuts; the flavor is really incredible. I can imagine it makes a lovely milk. Two things: expect a green recovery post from me THIS WEEK… I think my time has come to participate 🙂 And on a nut milk note…back when you posted about fermenting vegetables and someone mentioned that they use their french press… it occurred to me to try to filter out nut pulp with my Bodum. Success! I don’t think I’ll ever mess with a nut milk bag again. I was left with a lovey pitcher of cashew milk this morning! Of course, then I had nothing to make my coffee in, which defeated the purpose, but c’est la vie. Seriously, though… green recovery post coming your way. I love that series and I’d love to be a part of it. Hooray! I’m so glad you’re submitting one, Rose — I’ve been hoping you would. 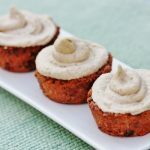 I was just thinking last week how tasty these would be in a nut milk, or even in a green smoothie:) Thanks for the inspiration! Now I definitely want to give it a try. I love Brazil nuts. Eating just 1 or 2 before a workout is a great way to fuel a run or yoga session! :) THANKS ! Yum! I have a recent new found love for brazil nuts but I haven’t tried this yet. Great idea! Good to know! Cooked, or raw? 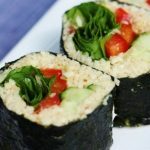 Would love to hear your recipe sometime! Why strain your nut milk when all that fiber is so good for us? I have a Blendtech which I use to make my nut milks. I run it twice through the longest cycle (in my case it’s the soup/fudge cycle of 90 sec) and I get a very creamy and very dense nut milk, no matter what nut. Even my young kids don’t like it strained anymore. Thanks for the Brazil nut info/idea!! 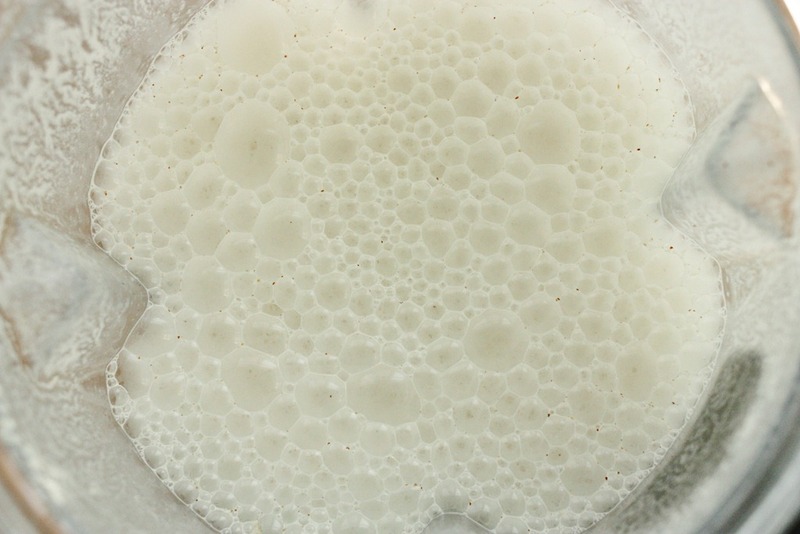 I actually prefer the super smooth texture of the strained nutmilk. And lord knows I get a ton of fiber in my diet regardless, so I think it’s fine to be selective with my Brazil nut milk! 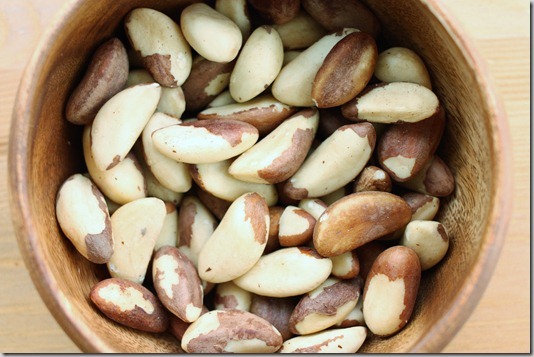 One brazil nut has about 544 micrograms of selenium. I would suggest making this type of milk a rare treat. Do you have any suggestions on how to use the pulp left over? Is Brazil Nut just same taste with Almonds? Similar, though not quite the same. Nuttier, I think. a lovely use for Brazil nut pulp is to add back to the blender some of the milk, add a ripe banana and some carob and blend it for a VERY nice smoothie. This uses up the pulp and gives the most delicious smoothie which all in my house really enjoy. 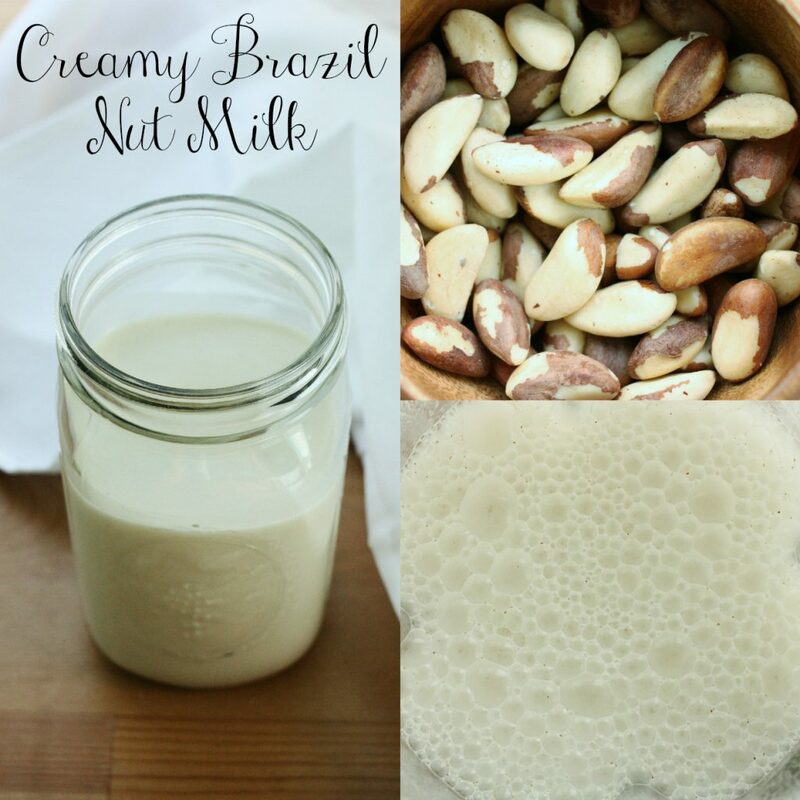 I never would have thought of using brazil nuts to make nut milk! What a great idea, because they are rich and high in selenium! Are you sure we don’t have to worry about that “radioactivity?” Oh whatever..I’m glowing anyway from my vegan diet! 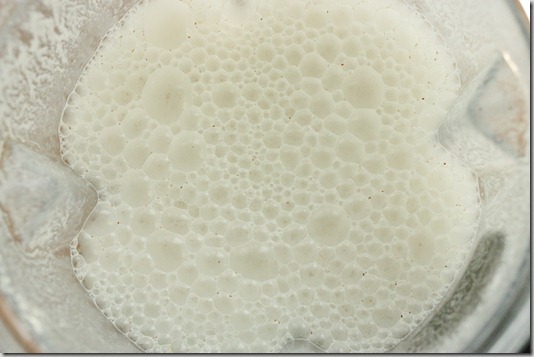 Question – does anyone have solids that form on the top of the brazil nut milk after it settles in the refrigerator? I’ve had it happen a few times now and trying to troubleshoot but I have not found any answers! Any help would be appreciated. I haven’t had it, Soozy, but I’ve had it with coconut milk. I think it’s pretty normal! 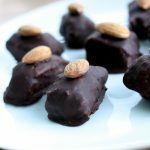 If you use let’s say “25% less nuts”, or 3/4 cup instead of the one to make a batch, does it impact the flavor/consistency that much? I guess I could experiment with this, but thought maybe you have experience already. It wouldn’t have much impact in a smoothie, but if using over cereal, it might. Since raw nuts can be expensive, I am always interested in how to stretch them. I make cashew nut milk and it is sooooo good. Deanna, the consistency might be a little thinner, but I don’t think it’ll be much thinner. Worth a try! Another way to save money is to stock up on items you use regularly when they are on sale. The result will either be that you overeat or have to throw leftovers away. onion, Italian Seasoning mix, salt and pepper. Looks yummy. I have Brazil nuts on my counter, waiting right now. But I have a question about the actual amount of selenium in the milk. I know how much is in the nuts but what goes into the milk and what’s left in the pulp? Don’t know if this has been answered. Brazil nuts contain very high amounts of selenium (68–91 mcg per nut) and could cause selenium toxicity if consumed regularly. Just an FYI, know what you’re putting in your body.